Every summer, hundreds of pool accidents are reported every year, and most of them are preventable. While there is no product on the market that is 100% child-proof, our solar pool covers can be a safe addition to your pool. When installing your solar pool cover, you should follow some simple safety guidelines to ensure your family’s well-being for the entire length of your swimming season. We know how we get around a sheet of bubble wrap, and kids are no different. Kids see your bubble pool cover as a toy, and not equipment for your pool. Since the pool covers are not securely attached to the pool or deck, they can collapse under the weight of the child. Pets are a part of your family and they should also be watched heavily. Dogs can get overly excited about being able to go for a swim with the family that he may jump into the pool with the cover still on. 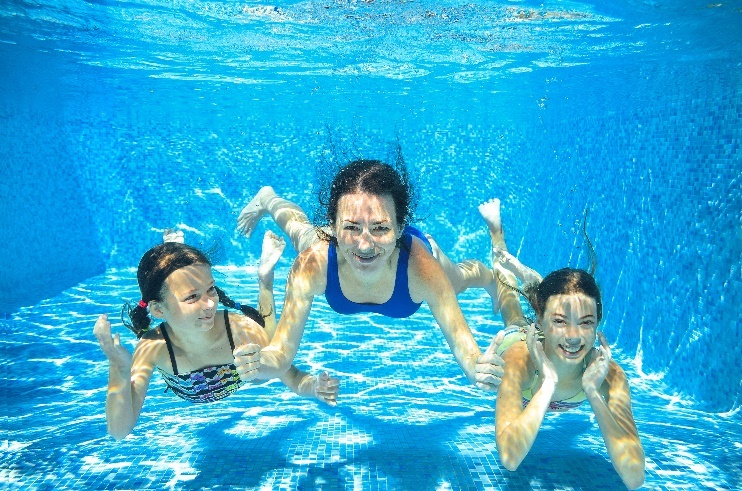 Keeping your family supervised while in or around the pool can decrease the likelihood of an accident occurring and helps ensure that you get to enjoy your extended swimming season, injury free. While jumping on the pool cover while it is still on the water may sound like a fun plan, it may not necessarily the safest idea. A person can get trapped underneath the cover leaving some serious consequences to follow. Also, you may be tempted to only fold back half of the pool cover because you want to sun bathe and not swim. This should not happen. Sometimes the pool cover can unfold itself and lead to a dire situation. You need to fully remove the pool cover if you are going to be in your pool for any reason. The best practice on swim safety is to make sure you teach your family how to remove the pool cover and always have younger family member supervised while they are swimming. Kids can fall for many reasons. Even having 2” of standing water poses a threat to people. When you remove your pool cover, make sure you remove any standing water that may be left on it (either from rainfall or removing it from the pool). You can do this simply by airing out your cover with another person, and lifting it into the air like a parachute. Are you trying to do it solo? You can enlist the help of a mop or squeegee.